I'm so obsessed with all of the 12th tribe colors, but this red in particular is so unique I rarely see it anywhere else. 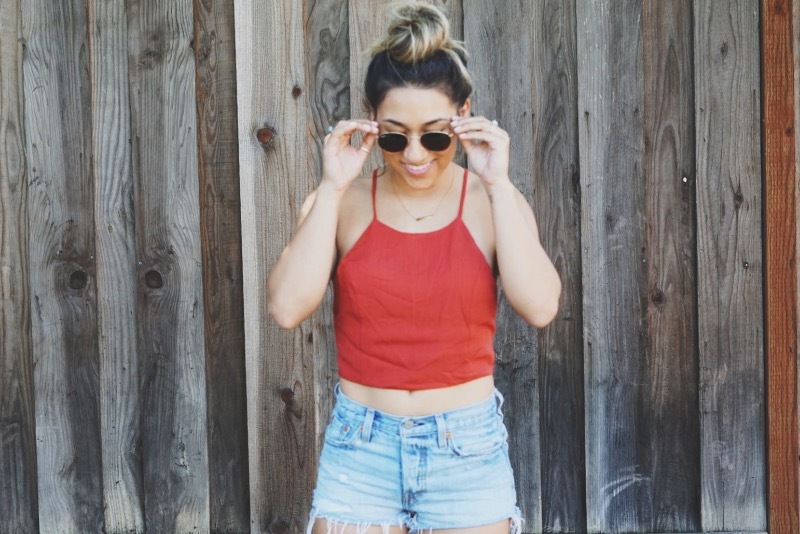 I love that it makes my tan pop--I rarely wear red but this top is so versatile and essential! I got the matching set (medium top and bottom) and absolutely love it!! the color is spot on and it’s perfect for a date function or dinner, my only complaints would be that the style of the top makes it so that it droops a little in the front but if you tie the back tight enough this can be pretty much avoided! The material is great. Super comfy while good quality . I bought the matching pants and can wait to wear the set! I bought a small and it fits perfectly (b34chest). The color is exactly as shown in the photo. Love this top, great quality . I got a medium because I thought it might be too tight but a small would of worked out better for me but over all I am still happy with it!